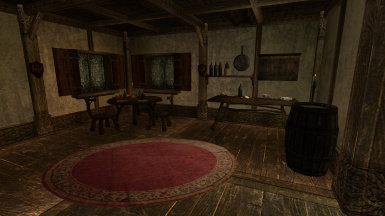 Varo Manor adds a player home in Caldera and a quest to obtain it. To begin the quest, inquire about the latest rumors in Caldera. The quest is designed for characters who are at least level 10. Please do not alter, edit or upload this to any modding sites. 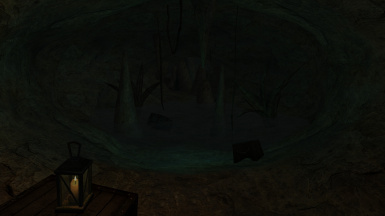 The most current version will be found at The Elder Scrolls Nexus. Mirrors, if any, will be added as needed. Barabus for the wonderful coffin and coffin lids. I am using a slightly modified version of Despair's sorting scripts from his excellent "Despair's Ingredient Pots and Sorter v1.1". Dragonsong for his "My First Room Tutorial". Jac, Melchior Dahrk and Pluto and for advice and assistance with the construction set. Kiteflyer61 for creating the beautiful clay pots for this project. Kiteflyer61 and Latendresse76 for their gorgeous Built-in Bookcases meshes. I am using a heavily modified version of the library scripts from Marc's Mori Mountain Estate. 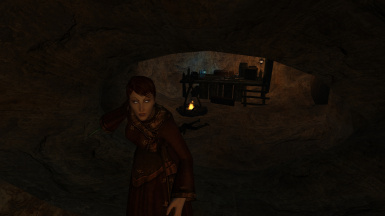 Necessities of Morrowind for their lemon and hard cheese models. Peterbitt for graciously allowing me to use his outstanding Nirnroot model. Lute model from Phijama's "Bits' and Bobs' Resource". Skydiver for his incredibly useful "A Very Basic Guide to Making a Quest" tutorial. Spirithawke for his patience, desperately needed scripting assistance, recommendation of the "Enchanted Editor" and invaluable beta testing. Tamriel Rebuilt team's excellent name generator for the last name "Varo", and the first names "Cirwen", "Edrene" and "Redaria". Von Djangos for his beautiful rugs from "Django's Rugs and Tapestries v1.6". WH-Reaper for assistance with scripting. The Unofficial Elder Scrolls Pages. 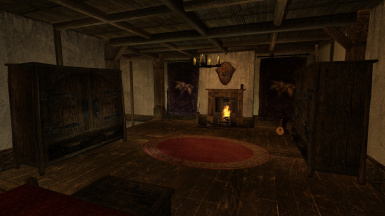 After returning to Morrowind recently, I initially began updating my renovation of Beardo's Zelda Estate as it was showing its age however, it wasn't long before I decided to start on an entirely new project altogether. I've created from the ground up, an entirely new home in the same location, designed from the start to be both lore friendly and hopefully more "future proofed" as it uses original meshes and textures almost exclusively. In addition to helping the mod fit seamlessly into your game (as it will use your preferred mesh and texture replacers) it will also benefit from any applicable mesh and texture replacers released in the future. In addition, a quest is now required to obtain ownership of the home. I have taken great care and thought in the placement of each item and in the construction of the quest. I hope you enjoy it! I'm looking forward to hearing what you think. 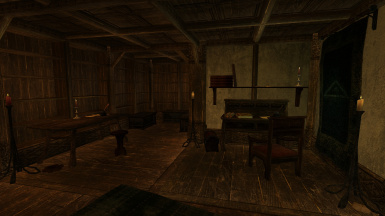 Inside Varo Manor, you will find a library on the second floor. Interacting with the inkwell named "Book Sorter" will sort and copy both your books and documents. Sorting and storage is provided for every book and document in the original game, its expansions and the Entertainer's plugin. Copying and placement is provided for the vast majority of books and documents. When a book or document is sorted the original is removed from your inventory and placed in a storage chest. Books (any document which is bound) are placed in one of three chests, organized by the name of the book. The first chest (arranged from right to left) contains books beginning with the letters "A" through "H", the second "I" through "P" and the third, "Q" through "Z". Documents (various notes and scrolls) are placed in the Document chest. In most cases, a copy of the book or document is created after sorting and is placed on a shelf inside the library or, in some cases, another location in the manor. These books are simply copies. While they can be read, they do not provide training and have no value. Please note, each book and document can only be placed once. Also, be sure to use only the original books and documents if needed for a quest. 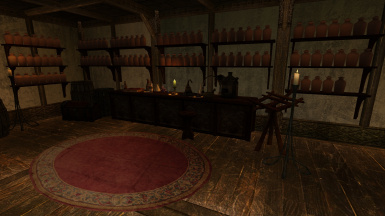 The alchemy lab in the basement provides sorting for alchemy ingredients from the original game, the Tribunal expansion and Bloodmoon. Interacting with the soul gem named "Ingredient Sorter" will sort all ingredients from the original game. Conversely, interacting with the soul gem named "Mournhold/Solstheim Sorter" will sort all ingredients from the Tribunal and Bloodmoon expansions. Interacting with either gem removes the appropriate ingredients from your inventory and places them in a series of jars, arranged alphabetically by ingredient name in rows from top left to bottom right. Tribunal, Bloodmoon and the Entertainers plugin are required to use this mod. 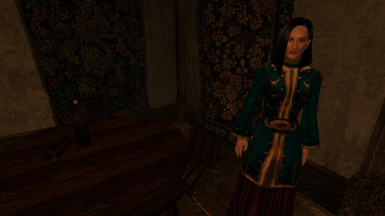 Unzip the Varo Manor v1.0 rar using Winrar or your program of choice. 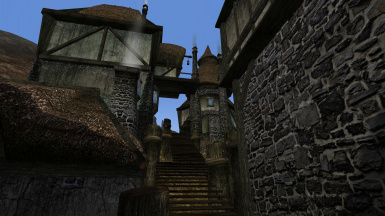 Then, simply place the "Data Files" folder from inside the "Varo Manor".rar into your Morrowind install folder and overwrite when prompted. This mod is not compatible with Beardo's Zelda Estate, my Zelda Estate Renovation or Korana's Eccentric House. To ensure that all books are sorted and placed correctly, please visit the Varo Manor basement at least once before using the book sorter in the library. Jac, Melchior Dahrk and Pluto for advice and assistance with the construction set. Tamriel Rebuilt team's excellent name generator for the first names "Cirwen", "Edrene" and "Redaria". I am very interested in hearing your feedback and constructive criticism. If you have any questions or comments please message me at "Simbelmyne" on Bethesda's official forum at "http://forums.bethsoft.com/forum/13-the-elder-scrolls/". Please do not upload this to any modding sites. The most current version will be found at The Elder Scrolls Nexus. Mirrors, if any, will be added as needed. 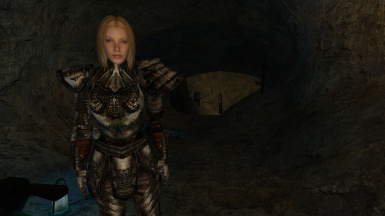 This mod has been cleaned of both GMSTs and dirty references with the Enchanted Editor.